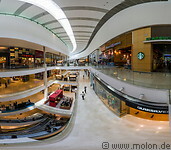 The Pavilion mall is a fashionable, upper end shopping mall in the Bukit Bintang area in central KL. 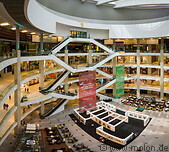 The mall opened in September 2007 and contains 450 shops spread on seven levels. At its centre there is a big, circular hall. A food court is located in the lower ground.